The growing trouble in Northern Ireland in 1969 had a significant impact on the Irish Republican Army (IRA). The leaders of the IRA at this time were political ideologues more than military commanders; they had not anticipated or prepared for armed confrontation. When Catholics in Northern Ireland were targeted by the Royal Ulster Constabulary (RUC) and Loyalist gangs, the IRA was not organised or equipped to defend them. When violence erupted in the Bogside in August 1969, the IRA in Northern Ireland possessed only ten guns. The IRA’s failure to prepare and respond brought factional and ideological divisions to a head. In December 1969 a clique of younger, more radical volunteers held a series of meetings and formed a seven-man Provisional Army Council. This group formed the nucleus of the Provisional IRA. In its first year, the Provisional IRA was small, undermanned and also short of weapons and munitions. The growing sectarianism and violence of 1971-72 swelled their ranks. By 1972 the ‘Provos’ were strong enough to initiate a guerrilla war against British soldiers and security forces in Northern Ireland. The founding members of the Provisional IRA were long-serving Republicans. The most significant figure was Seán Mac Stíofáin, who became the first Provisional IRA chief of staff, or de facto leader, in December 1969. Mac Stíofáin was an unlikely Irish Republican. Born in London as John Stephenson, he served with the British Royal Air Force (RAF) during World War II. He joined Sinn Fein and the IRA after the war. In 1953 Mac Stíofáin was arrested and imprisoned in England, along with future IRA leader Cathal Goulding, after stealing weapons from an army base. Mac Stíofáin was supported by Seamus Twomey, a bad-tempered brawler from the Falls Road, who was fanatical about driving out the English at the point of a gun. Daithi O’Conaill was from Cork in the Republic of Ireland, a lifelong IRA member and its former chief of staff during the 1950s. Ruairi O’Bradaigh’s family were so staunchly Republican that he was given the middle names Roger Casement; O’Bradaigh too was an IRA leader in the 1950s, while working as an Irish language teacher and Sinn Fein politician. This group finalised their mission at a January 1970 meeting of the Provisional Army Council. The first priority, they determined, was to defend Catholic communities from attacks and victimisation. They formulated their own organisation and command structure, and developed strategies for propaganda, recruitment, training and the acquisition of money and weapons. At this point the IRA began to split into two separate armies: the Official IRA led by Goulding and the more militant Provisionals led by Mac Stíofáin. The group’s secretive and decentralised nature meant many volunteers were unaware of the split, some for several weeks. 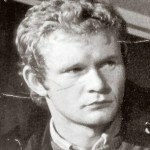 One was future Sinn Fein leader Martin McGuinness: he mistakenly joined the Official IRA in 1970 only to cross over to the Provisionals shortly after. As the dust settled the Provisionals came to be seen as a younger, tougher and more militant iteration of the IRA. They were first and foremost a paramilitary group, prepared to fight and die for a united Irish republic. Its members frequently harked back to the Easter Rising and the very first IRA. One of their emblems was the phoenix, symbolising the rebirth of the Republican traditions of 1916 and the Irish War of Independence. Unlike the Official IRA, the ‘Provos’ emphasised action rather than strategy. While Official IRA leaders were scattered across Northern Ireland and the Republic, the leaders of the Provisional IRA could be found in the thick of the Troubles in Belfast and Derry. In its formative months, the Provisional IRA’s effectiveness was blunted by one critical problem: its lack of weapons. In their first year, the ‘Provos’ were restricted to a few small arms, perhaps as few as 60, as well as homemade devices like ‘Molotov cocktails’ and nail bombs. Most pre-1969 weapons remained under the control of the Official IRA. One of the first priorities was the acquisition of weapons and the money to purchase them. Provisional IRA operatives targeted sympathisers abroad, particularly in the Republic of Ireland and the United States, where Irish expatriates and Republican sympathisers could be found. IRA propaganda chiefs developed material specifically for American audiences; it played on anti-British sentiment and Republican political ideas, while avoiding the IRA’s links with socialism. 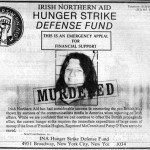 Most American financial support for the IRA was channeled through seemingly innocuous organisations, like the Northern Aid Committee (NORAID). Established in 1970, at its peak this group had 92 different branches and several thousand members. 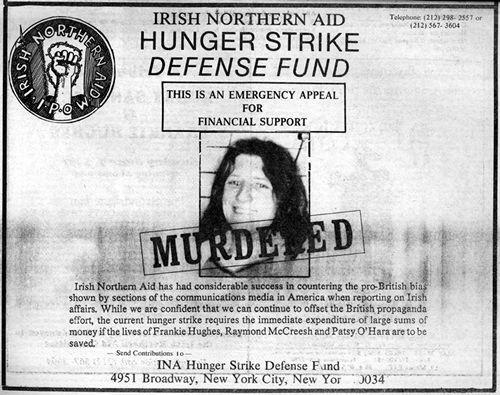 According to NORAID its collected funds were used to support the families of dead and interned Republican volunteers. The Central Intelligence Agency (CIA) and British agencies claimed most of these funds were used to purchase weapons for the Provisional IRA. The US government cracked down on NORAID and similar groups, arresting and charging dozens with gun-running, however, failed to dry up the flow of weapons to Northern Ireland. Recruitment was another Provisional IRA objective but it proved less difficult. The rising tensions of the early 1970s drove many young people straight into the ranks of the ‘Provos’. The use of internment and incidents like the Falls curfew (July 1970) and Bloody Sunday (January 1972) inspired hundreds of volunteers. The Provisional IRA leadership exploited worsening attitudes to the British by forming a specialist propaganda unit. They produced slogans, posters and press releases that depicted the presence of British soldiers in Northern Ireland as a hostile occupation, calling for a Vietnam-like war of resistance. 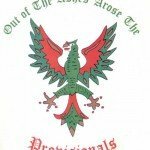 The secretive nature of the Provisional IRA means membership figures cannot be accurately known, but the group is believed to have grown from a few dozen in early 1970 to more than 1,000 by 1972. Provisional IRA recruitment was cautious and discerning. An ‘open door’ recruiting policy risked infiltration from security forces. 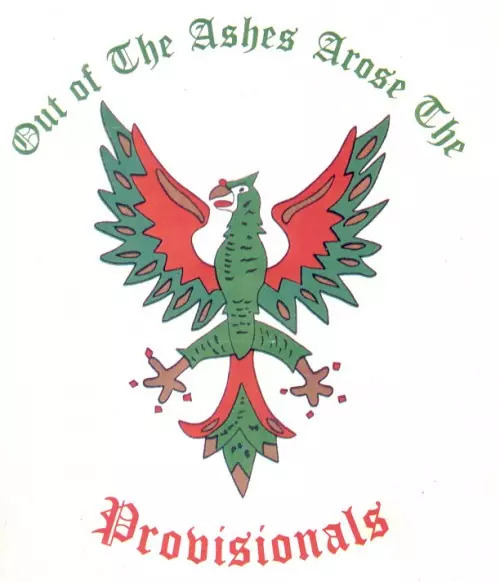 The ‘Provos’ wanted volunteers who could follow orders and maintain secrecy, not mindless thugs or ‘Brit haters’. New recruits were required to understand and embrace the group’s values and long-term mission. ‘Provo’ commanders carefully vetted, trained and monitored new recruits. Later, the Provisional IRA developed the Green Book: a comprehensive summary of its political objectives and military strategy, as well as a training manual and code of conduct for individual volunteers. 1. 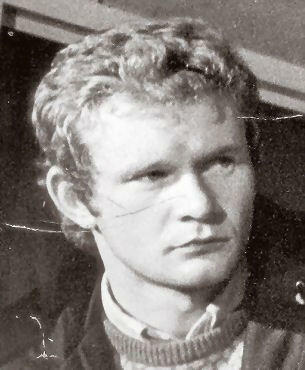 The Provisional IRA was formed in late 1969 by young militant Republicans. Frustrated with the IRA’s failure to defend Catholic communities, they gathered to form a Provisional Army Council. 2. The Provisional IRA began to take shape in early 1970. The group was led by chief of staff Sean Stíofáin. Their membership was small initially and they held very few weapons. 3. Provisional IRA propaganda harked back to the 1916 Easter Rising and the first IRA. It developed strategy and propaganda to attract new recruits, obtain weapons and generate funding. 4. The Provisional IRA obtain most of its money and weapons abroad, particularly the Republic and the United States. Donations were funnelled through groups masquerading as charities. 5. Between 1970 and 1972 the Provisional IRA expanded its numbers to at least 1,000 men. They recruited carefully to ensure that volunteers were disciplined, reliable and loyal to the cause.